I am working on an out of the box project and am having a blast with it. 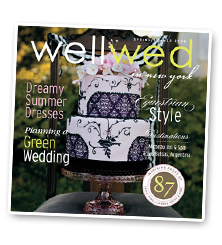 I am helping the Gensee Grande create a vignette for their wedding show that is being put on by Well Wed Magazine http://www.wellwed.com/. I have designed beautiful sweet heart table linens and chair covers. We have also come up with an over the top floral arrangements that will make you think spring. Whistlestop florist is going to be helping us with the flowers http://www.whistlestopflorist.com/ I am also helping thewhistlestop with their sweet heart table table linens. I can not tell details yet but I will. I can't wait to share images with you. It is going to be held at The Lodge in Skaneateles on Feb 7th I will try to post pictures as soon as I can after the show. We will be doing more exciting creative details for this show. Tons of great vendors are already signed up. It is amazing all the fun ideas for weddings they have out there. So much more then when I was getting married. I would love to help plan a wedding you could have so much fun with colors and details.